While cable and satellite still dominate American television viewing, the hardware and services for streaming TV shows, movies and other video from the Internet to a TV get better and better. 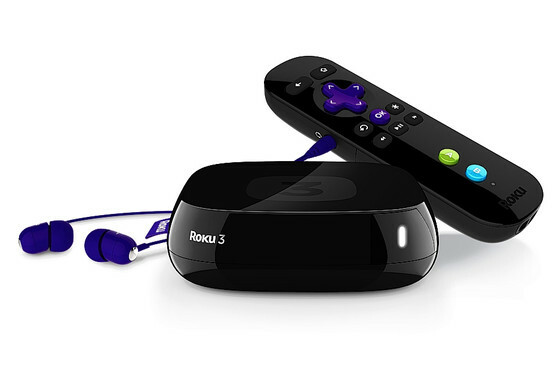 The latest improvement is a new $100 streaming set-top box from Roku, called the Roku 3. The Roku 3, which replaces the former Roku 2 XS this week as the top-of-the-line offering in the company’s four-model lineup, introduces several new features. One is a revamped, easier-to-use interface for juggling the 750 online services, or “channels” in Roku’s parlance, that the device can stream to a TV. The Roku 3 is a palm-sized, square black box that practically disappears next to a big television. The other is a new remote, which has a cool feature: A headphone jack and earbuds that can be used when you want to watch TV without disturbing others in the house. There are improvements under the hood, like a faster processor and more robust Wi-Fi, that will allow the new model to add features down the road. 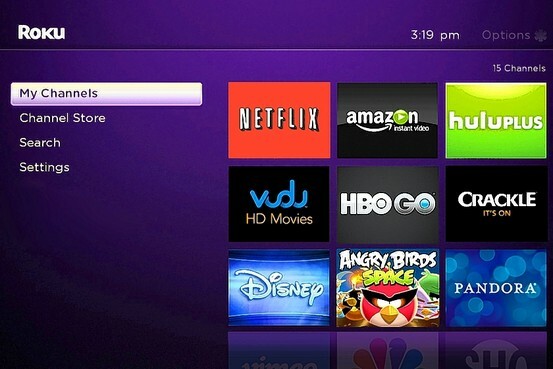 The new user interface will be made available to existing Roku boxes as a free software update, but the new remote and the improved innards will only work with the Roku 3. I’ve been testing the Roku 3 on my HDTV. I watched many hours of TV on it while my cable box lay idle. It’s an evolutionary, not revolutionary, advance, but the Roku 3 performed as advertised and I enjoyed using it. Roku, which comes from a private California company of the same name, is the second-most popular dedicated streaming player behind Apple’s Apple TV, which comes in a single model for $99. 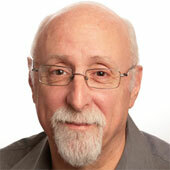 About five million Roku players have sold since the device launched in 2008. Apple TV, while a tiny part of the company’s business, has recently seen an acceleration of sales and Apple says about 10 million Apple TVs have been sold just since October 2010. It won’t provide a total sales figure since the product’s launch in 2007. The remote now has a headphone jack that controls the volume on earbuds so others aren’t disturbed. Both boxes offer highly popular video-streaming services such as Netflix and Hulu Plus, plus photo services like Flickr and streamed games from MLB, the NBA and the NHL. Apple TV also offers its parent’s own hugely popular iTunes service and Google’s popular YouTube. Roku lacks those two giants, but has Amazon Instant Video, Pandora, HBO GO, and over 700 lesser-known and lesser-watched services, compared with just a handful of third-party services on Apple’s box. Two other popular devices for streaming Internet video are the two big gaming consoles, Microsoft’s Xbox 360 and Sony’s PlayStation 3. But while nongaming entertainment is now a core function of these boxes, they are much larger and cost $200 or more. Plus, in the case of the Xbox, you have to pay $60 a year for a Microsoft service before you can even use entertainment offerings like Netflix, which then charge their own fees. Like the less-powerful models in Roku’s line, which start at $50, the Roku 3 is a palm-sized, square black box that practically disappears next to a big TV. Yet it can fetch high-definition programming from the Internet and play it back in very good quality on your TV. It also can play back Internet-based photos, music and some simple games like Angry Birds. And you can plug in a USB flash drive with your own videos, photos or music. My Channels in the new Roku interface shows the services a user has selected. The new user interface is simple and versatile. To the left is a list of four options. One is My Channels — the services you’ve selected. Then, there’s the Channel Store, where you can get more services, a universal Search and Settings. To the right are large, colorful tiles showing your collection of channels, and beyond that grid is a big ad you can choose to ignore. One nice touch: When you get to the end of any of the lists of items, the lists circle back to the beginning. This replaces a one-line carousel of channels and other options that could get overwhelming as you added more and more services. The remote’s headphone jack was a real plus in my tests. It automatically mutes the TV speakers and allows you to control the volume on the earbuds or any other headphones you choose. I used it to crank up the audio while I was working out on a noisy treadmill, so I didn’t disturb my wife, who was working on her computer in the same room and wanted to ignore the TV. The big upside of the Roku 3 — and all Rokus — is that it offers a vast variety of services, some free and some paid, which you select from a Channel Store. On Roku, you can go well beyond Netflix to services like Pandora Radio, Spotify, some games and much more obscure channels focused on such things as UFOs, horoscopes, European horror films, language learning, autism and diabetes. The biggest downside, besides the lack of YouTube and iTunes, is that, unlike Apple TV, it lacks the built-in ability to wirelessly stream video to the TV from mobile devices. Apple’s version of this, called AirPlay, works effortlessly from its iPhones, iPads, iPod touch players and Macs. I suspect AirPlay is one big reason Apple TV sales have risen sharply. By contrast, Roku’s mobile app can only stream photos and music. There are several apps available on Roku that can stream video from other devices or from cloud services, but in my tests, they required too much setup, worked inconsistently and would likely appeal mainly to techies. Roku says the new chips in its Roku 3 will allow such wireless streaming later this year using an emerging Wi-Fi standard called Miracast. But it won’t work on the lesser models. If you want to get into the world of streaming video on your TV, with minimal cost and hassle, the Roku 3 is a good choice.